With the retail sector gearing up in franchising, many retail brands have taken the franchise route for better and rapid expansion. 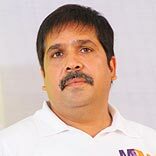 In an interview Dinesh Achhpeliya, Managing Director, M&M Stores shares about his brand’s experience with franchising and also the future aspirations from the route. Abha Garyali (AG): How was the idea of M&M Stores conceived? Share with us the growth and success of M&M Stores. How has been the journey so far? Dinesh Achhpeliya (DA): Being a second generation entrepreneur, I had a vision of giving the people of Andhra Pradesh a complete lifestyle shopping. The M&M Group started its retail journey with a small textile retail store in Vijayawada, Andhra Pradesh in 1985, and eventually evolved and expanded into a large group. Our group has the retail formats like Manhar, M&M and Maanya under its umbrella and we are present in six major cities of Andhra Pradesh and one major city of Maharashtra with an area of 2 lakh sq. ft. M&M Stores are present across Vijaywada, Kakinada, Kurnool, Guntur, Bhimavaram, Vizag and Nagpur. We have also been successful in implementing the franchising retail format. AG: When and what motivated you to adopt the franchise route for expansion of M&M Stores? DA: The people of coastal Andhra Pradesh used to travel long distances in order to get updated on the latest clothing. Fashion enthusiasts traveled to far off cities like Hyderabad and Chennai and this sparked up our idea. Getting a positive response since 2002 from the coastal areas of Andhra also played a catalyst to our franchise idea and in 2006; one of our own customers had approached us to start an M&M Stores in Kakinada. After heavy discussions amongst the directors, we finally opened our first franchise store in 2007. AG: Retail brands are making progress in franchising. What are your views about it? What can you predict about the future success of M&M Stores? DA: The franchising format in India is in the stage of experiencing high growth. For M&M Stores, we look to capitalise on it as it is a lucrative model for the tier II & tier III cities. Both, the franchisor and the franchisee are benefiting from our model and expanding is the key driver to enhance our presence across pan India. AG: The brand has various formats like Manhar and Maanya. Do they also expand via franchising? DA: Our group has retail formats Manhar, M&M and Maanya under its umbrella. Even after 25 years of existence, Manhar, the parent store is still going strong. It is the favourite shopping destination of not only the city of Vijayawada but also for people from nearby districts. At the moment we are also looking for franchising of Maanya. AG: Where do you see M&M Stores in the next five years? DA: The group plans to tap the market in other parts of the country by setting up stores under the franchise model. The group is present in an area of 2 lakh sq. ft and targeting another 1,50,000 sq. ft in Bangalore, Chennai, Rajahmundry, Ongole, Tirupathi, Nellore and Raipur. Apart from expansion plans for M&M, the group also intends to come out with exclusive outlets for men, women and kids. In this regard, the group had also launched its first exclusive store for women in Nagpur by the name ‘M&M Women’. In next five years, we aim to spread around 2 lakh sq ft.
AG: How is M&M Stores different from other apparel retail salons? What is your success mantra? DA: M&M Stores is the supreme name in customer service. We try to involve our customers in every aspect. The fact that the franchising model plan was accelerated due to a loyal customer’s request shows how much we value our customer’s opinions. The product mix that M&M Stores, Manhar and Malhaar incorporate is vast and unique and that plays a huge part in maintaining customer loyalty. M&M Stores is also a part of a Corporate Social Responsibility Program and has taken the ‘Go Green’ initiative since 2008.Therefore CSR is an integral ingredient to our success. AG: What according to you is the scope for aspirants keen on taking the franchise for M&M Stores? DA: We believe in partnering with aspirants who share a common vision and passion for retail. The scope is immense as it is a very successful model that has grown, been nurtured and one of the most successfully franchised concepts in the country currently. AG: How many franchise outlets do you have presently in India? What are your plans for the year 2013? DA: M&M Stores started its franchising journey in 2007. At present, 5 franchise outlets and 3 self operated stores are running successfully throughout Andhra and Maharashtra. We are on an expansion spree so the future of franchising looks bright for M&M. AG: What are the qualities and qualifications that you seek for in your franchisees? How much investment is required by aspiring franchisees? DA: M&M integrates their activities across all platforms and seeks coordination. Young and dynamic franchisees that follow the mantra of team work fit the bill of the ideal franchisee. In terms of capital required, the investment varies according to the size of the store and format opted. AG: Share with us the challenges that can be faced by your franchisees? How can these be overcome? DA: Due to the magnitude of our operations, manpower management is the main challenge. To overcome this hurdle, our sales team is currently under scientific and systematic training programs which help motivate and increase efficiency. About Us: Tea Live is a home grown Malaysian brand with..
Why is KOTA an Edu-Spot for Coaching Institutes..
4 Factors Affecting Your Restaurant Biz..
Education Related Franchise Business Ideas for Wom.. Accelerating On The Home Healthcare Route..